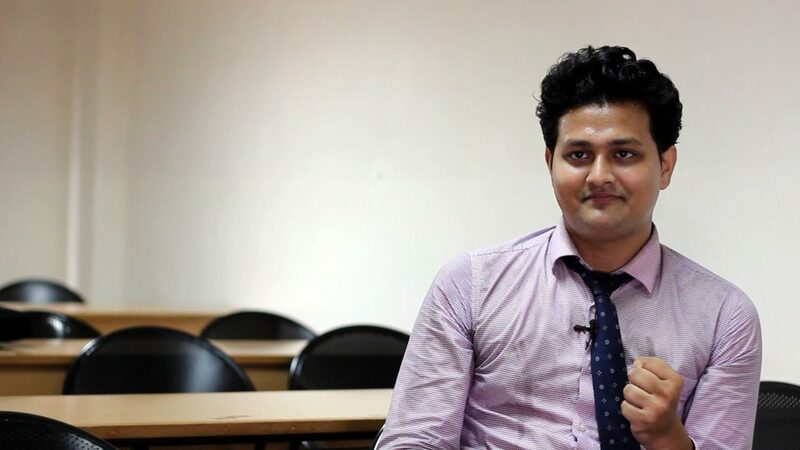 Anubhav Agarwal was in for pleasant surprises when he made the long journey from New Delhi to SCMS Cochin to pursue his management aspirations. “I was nervous having covered all that distance to do Management. But as I reached campus, I was instantly made to feel at home and comfortable at the institute,” he says. “It has given me so much right from day one – I will always cherish this special bond we have.” The bond seems to have been cemented with his placement with Deloitte. And now, the new graduate is on cloud nine. Anubhav believes that one of the important attributes for all managers to have is an ability to adapt to different situations and environments. He had to do that at SCMS Cochin as he was the only student from North India. “Thankfully I was assigned a mentor who immediately took me under his wings. I was also well accepted by the students here and that made things easier for me. I had done my BBA and am from a Science background, so Accounts was a bit tricky for me. I managed to adjust well and I see that as an accomplishment at my B School,” he says proudly. Not only did it help Anubhav gain confidence, but it also helped him understand a thing or two about organizing events. Overall, he admits that the IMLP sessions helped him take things to a higher level. “These sessions were designed to boost our presentation skills but they did a lot more than that. My communication skills have improved to a large extent, and that’s something I am quite happy about because it’s crucial for my career,” he adds thoughtfully. With his improved communication skills, Anubhav, who specialized in HR, managed to impress his recruiters. It bagged him a job with Deloitte in their HR team. “I have been offered the role of an analyst in their talent acquisition team. It’s an ideal fit for my career goals and I am eager to prove myself as a professional. I will also learn a lot along the way and build on the experiences that SCMS Cochin have given me till date.” His words are filled with hope and anticipation for a glorious career.